Ready, Set, Book! Spring Holiday Promo! Today is Saint Patrick’s Day and since I am a bit Irish myself I have decided to offer my wonderful readers a special booking incentive! As you know, I am an agent with Pixie Vacations. I am dedicated to helping my clients design and plan the best possible Disney vacations. I offer concierge level service, itinerary planning, dining reservation assistance (may as well be me on hold for 2 hours at 7 am instead of you!) and discount monitoring! I offer all of this for free. This means, you will not pay any more than booking with Disney yourself. 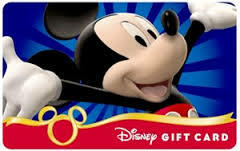 Book any package totaling $2500-3500 and you will get a $35 Disney Gift Card! Book any package totaling $3501-5000 and you will get a $55 gift card! Book any package over $5001 and get a $75 gift card! This applies to Disney World, Disneyland. If you are cruising on Disney Cruise Line, You are in for a spectacular on board credit! Email me Jess@Pixievacations.com for more info! This entry was posted in Deals and Discounte. Bookmark the permalink.